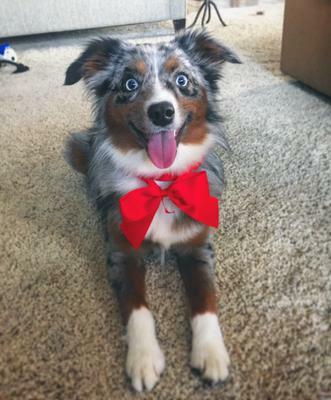 Hello, I have a Mini Aussie, Charlie, who is a little over 1 year old. We tried socializing him at a young age, bringing him to daycare starting at age 7 months. He also lived with another dog until he was 1 year old and they got along perfectly. Additionally, we've recently been getting complaints that he is herding/nipping dogs at his doggy daycare. He was fine at daycare up until the past few weeks. We were told that he stalks a certain puppy and begins herding and nipping other dogs when certain handlers are on the floor. We love him so much and even the handlers say he's the cutest Aussie they've ever seen - but his behavior is starting to worry me! He's never nipped a dog or person hard enough to cause damage - if he did, I think he's too small to do any serious damage - but the behavior is concerning and any tips on how to train him to stop would be greatly appreciated!